The property is located in the hills of Bridgehampton nestled on six wooded acres between the village of Bridgehampton and the town of Sag Harbor. The house is secluded down a private winding driveway about 800 ft from the main road. The house is a 7,200 sq. ft. classically planned farmhouse surrounded by beautiful landscaping. The property includes seven bedrooms with either queen or full size beds, each with its own private marble bathroom, chef's kitchen with Viking appliances, formal living room with wood burning fireplace, formal dining room, washer / two dryers, three car garage with plenty of parking, six satellite TVs with premium stations, DVD, CD, VCR and Sony Play Station II, state-of-the-art gym with circuit training, game room with pool table and foosball table, free formed heated gunite pool with blue stone patio, eight person jacuzzi tub with waterfall, all weather tennis court and basketball court. 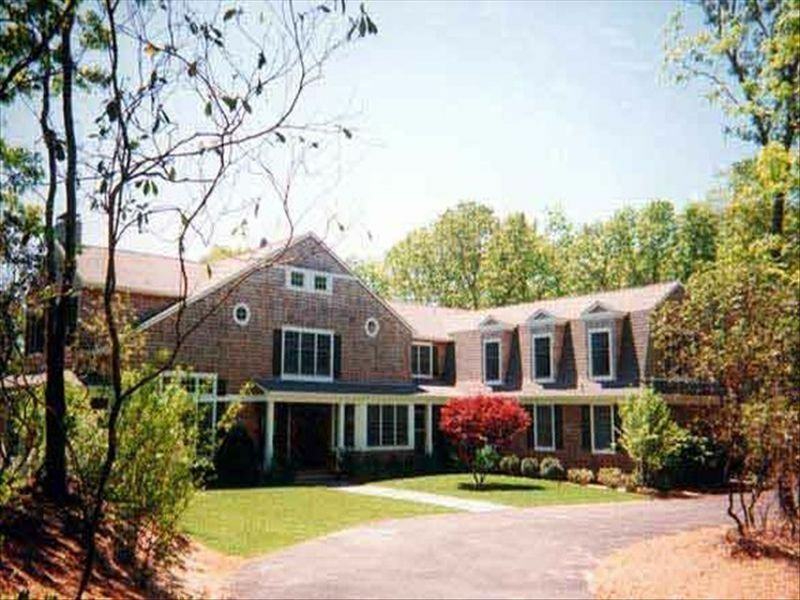 Ideally located between the Villages of Southampton, Bridgehampton, East Hampton, Sag Harbor and Shelter Island, the property is conveniently located near Flying Point Beach, Coopers Beach, Main Beach, Agawam Park, Parrish Art Museum, Monument Square, Montauk Downs Golf Course, Shelter Island Country Club, Poxabogue Golf Course, Bridgehampton Tennis Club, Morton National Wildlife Refuge, Long Pond Greenbelt, Cedar Point Country Park, Long Wharf Marina and Dering Harbor Marina. Enjoy horseback riding on the beach, golfing, sailing, yachting, jet skiing, hiking, swimming, antiquing, fine dining and clubbing at Manhattan's hottest clubs East End outposts. Two short ferry rides will get you to Long Island's North Fork wine country.